The spirit is willing the but the body’s not! I had a bunch of things to do today (Saturday) — so I switched things around and trained yesterday (Friday), before going to work. The great thing was Len Blackmoore agreed to meet me early and after I warmed up with four rounds of shadowboxing, we hit the ring to spar. 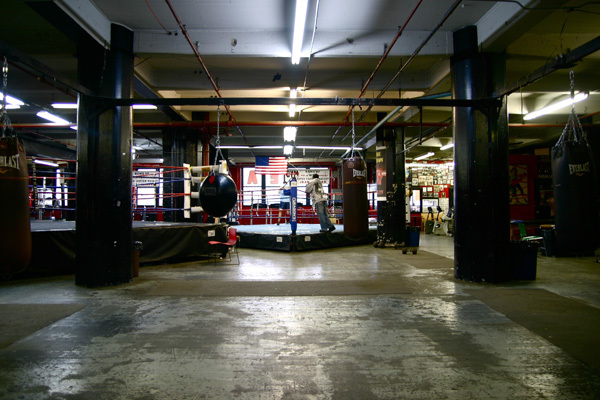 Earlier in the week, I’d been at the gym working out on my own and quite frankly, was feeling pretty great: lots of rounds on the uppercut bag and four great rounds on the double-ended bag gave me a feeling of confidence that carried over as I readied to work out with Len. Right from the start I was able to throw punches, and even managed a few combinations, but nothing I seemed to be able to do defensively protected me from his punches. It’s not exactly as if I was frozen, not at all, but it became obvious that aside from deflecting jabs, no matter how I positioned myself, I was open to hooks and uppercuts. 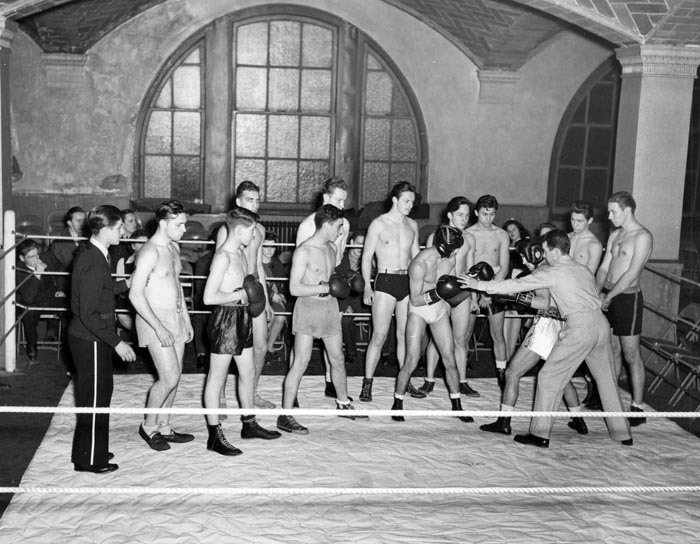 It was only after my four rounds with Len when I observed him sparring with someone else–someone obviously more experienced in the ring–that I began to see how to work things through defensively by keeping my hands up higher and standing straighter in my stance. What I realized is that I was leaning forward, mistaking it for slipping a punch! Talk about an easy target–no wonder I was getting tagged at will from the right! Thinking about it later I admit to feeling emotionally stung, as if all of the work I’ve been putting in has been wasted … but of course I know better. I just have to go back to basics. Yep … its time to tweak the boxing stance. So where to begin … again … grrrrr …. the MIRROR! I haven’t made it to the gym over the past few days, much to my chagrin. Between deadlines, work and a concert at my daughter’s school today, my plans to spend round upon round boxing on the the upper cut bag and slipping underneath have not come to fruition, but that hasn’t meant it’s left my mind. Instead, in the moments of free time I’ve had, I’ve been watching heavy bag work-out videos and thought I’d share a few I’ve found that seem to have some good pointers.